That's Sew Chenille! Christmas Hot Pads Pattern from KimberBell Designs. 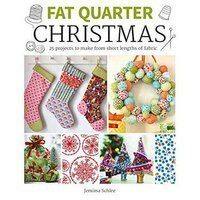 This fun and festive pattern includes six designs with four size options for each. 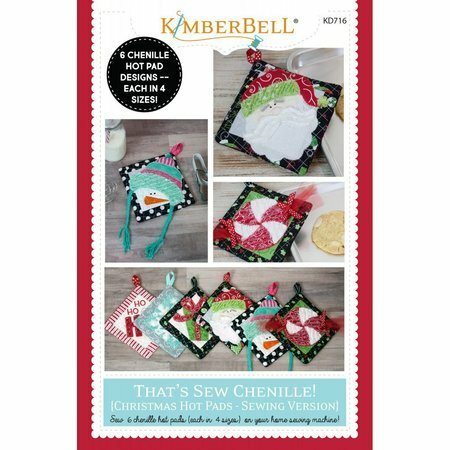 Use the That's Sew Chenille! 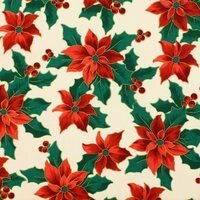 Christmas Hot Pads Pattern to make holiday decor or functional hot pads to give as gifts for the holidays. 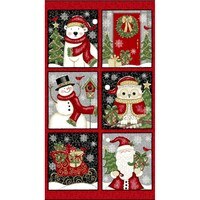 This pattern uses chenille fabric to make unique applique hot pads. That's Sew Chenille! 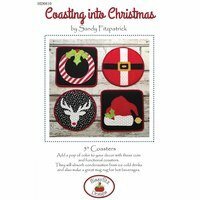 Christmas Hot Pads Pattern can be completed within hours.